The stamps can be pre-ordered now at this link for delivery shortly after the June 20 issuance. Ice pops are made by large manufacturers, home cooks, and artisanal shops. In recent years, frozen treats containing fresh fruit such as kiwi, watermelon, blueberries, oranges, and strawberries have become more common. In addition, flavors such as chocolate, root beer, and cola are also popular. 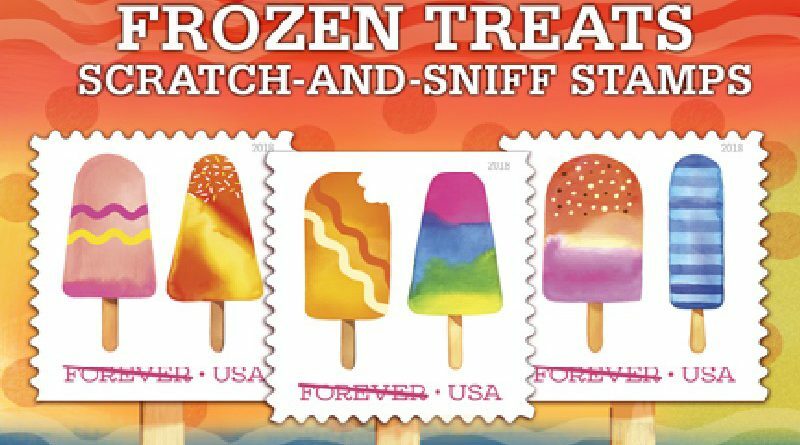 Some frozen treats even have two sticks, making them perfect for sharing.